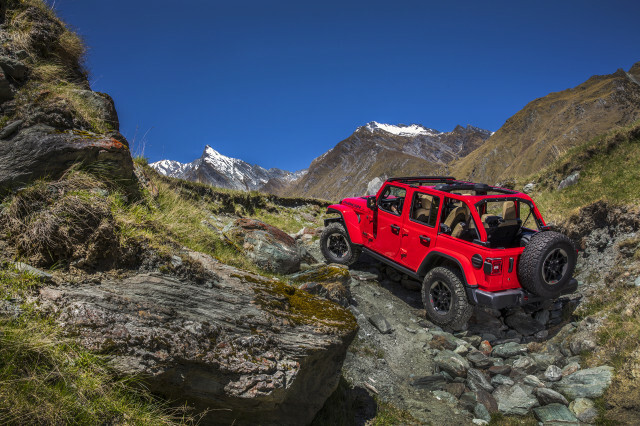 Jeep crows about its Wrangler being the standard for off-road driving. As my colleague Andrew Ganz found in Arizona, the 2018 Jeep Wrangler is a dynamite car in the dirt. While the 2018 Wrangler, a JL to all the fans, certainly will be a fixture on trails and in mud bogs, it's also the vehicle that will get plenty of folks to school and work without ever setting a tire off road. 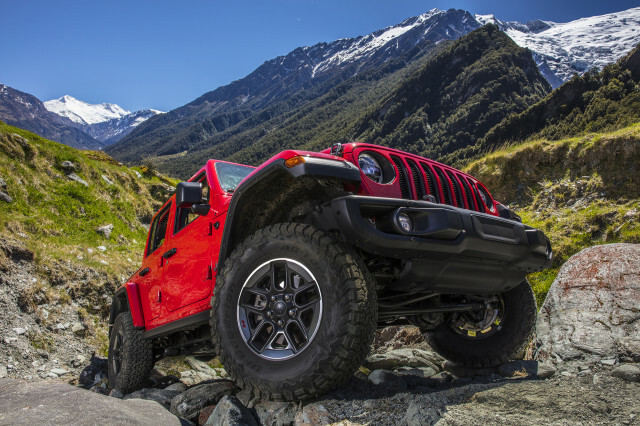 The Wrangler will be a grocery getter, a commuter car, and in 4-door trim, perhaps the most capable method of getting the kids to soccer practice this side of a Range Rover, Mercedes-Benz G-Wagen, or Toyota Land Cruiser. To find out how the 2018 Wrangler improved for those daily commuters, I borrowed a Rubicon Unlimited with a 6-speed manual and 3.6-liter V-6—easily the most enthusiast-focused member of the Wrangler family—and put 267 miles of commuter-class travel on it. The Good: The new Wrangler takes so much from its World War II ancestor, but thankfully, the cabin is no longer one of those things. My tester had the same excellent pair of screens found in high-end versions of the Compass and Cherokee, with a 7.0-inch display in the instrument cluster and an 8.4-inch touchscreen atop the center stack. It had dual-zone automatic climate control, and a heated steering wheel to go with its heated seats. And the lights were LEDs, which meant I could actually see at night. The Wrangler feels like a product of the 21st century. The Bad: That feeling comes at a substantial price. My tester, a Wrangler Unlimited Rubicon, started at $41,690 (including the mandatory $1,195 destination charge) and arrived loaded with enough gear to swell the total to $49,275. That's only a few thousand dollars shy of an entry-level Land Rover Discovery, but more egregiously, it's nearly $6,000 more than a Toyota 4Runner TRD Pro, which provides at least 85 percent of the Wrangler's capability in a more livable everyday package. The Good: The big underhood news for the 2018 Wrangler is its new turbocharged 4-cylinder and mild-hybrid system, but this standard V-6 is perfectly fine. The V-6 fitted to our tester was smooth and powerful, and when revved toward the redline, it sounded so good I had to make sure my tester wasn't fitted with a cold-air intake or exhaust system. The Bad: The 6-speed manual is just fine. The throws could have been a little longer, but the sensation when entering each gate felt just right for a Jeep. But the clutch was vague and difficult to manage off the line and the throttle overly sharp. After a few days with the Wrangler, I started taking off from stop signs and red lights in second gear because the resistance from the taller gearing made it easier to manage throttle/clutch inputs and accelerate smoothly.